It may surprise you to know that some men and women have very strong opinions about which type of toothbrush is best, manual or electric. The Steele Creek Dentist is happy so long as all our patients brush, but is one better than the other? Most dentists will tell you that all toothbrushes, when used thoroughly, are effective at removing plaque. Choosing which kind you prefer is really up to you. We want to give you some extra information about toothbrushes to help you choose which kind is right for you or your child. Manual toothbrushes are easy to find, whereas not all drugstores carry all types of electric toothbrushes. This can be challenging when buying replacement heads. People who travel may find that a smaller, manual toothbrush is easier to pack (and batteries are not necessary). The pressure you put on your gums with either type of toothbrush is vital. Some people say that it’s difficult to know how much pressure they use with electric toothbrushes, while others say that because of the quick electrical movements, they tend to be more gentle on their gums than when they use manual brushes. You may want to try them both to ascertain your brushing style. Then you can discuss it with your dentist. Special consideration should be taken for individuals with arthritis. Most dentists guide their elderly and arthritic patients to use electric toothbrushes when their manual dexterity is diminished. As for children, once they are old enough, an electric toothbrush may be preferable, but safety should always be the first concern of parents. The Steele Creek Dentist provides general and cosmetic dentistry. Make an appointment with us today. 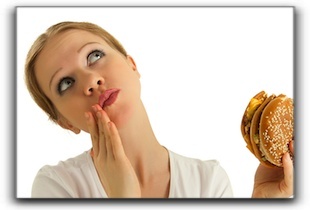 Anyone with missing teeth knows chewing can be problematic and painful. If you are looking at the cost of dental implants and feel uncertain about whether this is the step you ought to take, come see The Steele Creek Dentist in Charlotte. Improving a smile cosmetically beyond just functional needs can also be discussed during an informative consultation. The Steele Creek Dentist offers dependable advice about restoring your smile while still keeping it comfortable in the pocket book. Come consider the possibilities, including the cost of cosmetic dental smile makeovers. If you have missing teeth, come see The Steele Creek Dentist in Charlotte to find out about dental implants. We also provide general and cosmetic dentistry. Mother Theresa once said “Peace begins with a smile.” Perhaps that peace should start with the person who is smiling. How do you feel about your smile? You can improve it with cosmetic dentistry from The Steele Creek Dentist in Charlotte. Bright eyes and bright smiles are best served clear and clean. Regular check ups can prevent runaway decay and costly corrections. Stay at peace with your smile by scheduling regular dental visits to avoid any future oral problems. Rest assured that there are ways to redo what nature has given you or cosmetically remedy problems that have affected your once-pleasant smile. Talk to us about how you can achieve a smile you can be at peace with. 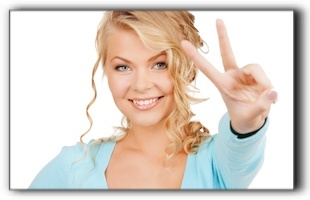 The Steele Creek Dentist in Charlotte agrees that peace can begin with a smile. If you are not content with the appearance or condition of your teeth, gums, or bite, schedule a cosmetic dental consultation with us today. We are The Steele Creek Dentist, located at 4815 Berewick Town Center Dr in Carlotte. If you are looking for an experienced family dentist, we invite you to come in for a consultation. The very idea of visiting a dentist makes a lot of people anxious. If that sounds like you, here are a few recommendations that may help ease you into regular dental checkups and put you on the path toward enriched oral health and quality of life. Choose a dentist who is appropriate for your needs. If you decide to schedule an appointment with us, we will ask you many questions. 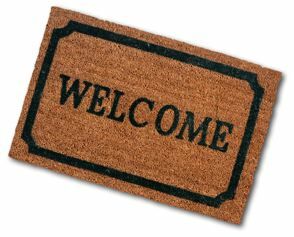 We want to get to know you, and help you get to know us, so you feel comfortable and relaxed. Be prepared to provide us with essential information about your lifestyle and health. Many men and women become intimidated in the office environment and avoid expressing pain or disclosing sensitive issues. As dentists, we need to know your history and everything you are experiencing. We will be better prepared to help if we have accurate and complete information. Bringing notes can be helpful in case you forget something you want to discuss. The best way to have a favorable experience is to communicate. Let us know what you are experiencing so that we can make adjustments and help you feel more comfortable and secure. If we discover that you are going to need a dental procedure more extensive than filling a cavity, let’s discuss conscious sedation. At The Steele Creek Dentist, our convenient staff will work to make your dental experience a pleasant one. In addition to checkups and cleanings, we also provide cosmetic dentistry, including dental implants. We’ll do what we can to make you feel comfortable, secure, and among caring friends.